The Multicoat story began way back in 1997. Owner, Chris Sweetnam, was a highly trained engineer working in the ceramics industry. While he was happy enough working for his employer at the time, his entrepreneurial spirit made him start thinking about having a business of his own. With his Honours Degree in Mechanical Engineering as well as his Economics Degree, both gained from Monash University, he had a tonne of talent and enthusiasm that needed expression. He knew that having his own business was the only way to accomplish all that he thought he was capable of. So, he went looking. What he found was one of Melbourne’s hidden gems. Tucked away in a tiny 200m2 factory in Rowville, was a highly regarded coating business run by one of the last industrial spray painters in Melbourne. Their loyal customer base was primarily from the electronics industry, machinery manufacturers and health care industry. However, spray painting was restricted to small jobs due to their limited work space. The then owner had taken the business as far as he wanted and was looking to sell. The business already had a good reputation but Chris immediately recognised the potential to add his engineering expertise and years of experience in coating applications to the skills they had established. He knew that through that small coating business, he could expand its level of operations and bring a new level of professionalism to the Powder Coating and Spray Painting industries in Melbourne. Taking up the challenge to be Melbourne’s best Spray Painting and Powder Coating providers. He has over 20 years’ practical experience in applying and inspecting powder coating and paint to both aluminium and steel, as well as on-site rectification of faulty Powder Coatings. He is a National Association of Corrosion Engineers (NACE) qualified Level 1 coating inspector. He is a Power Coating Trainer for the AISF for Victoria. So, has Chris achieved his goal? 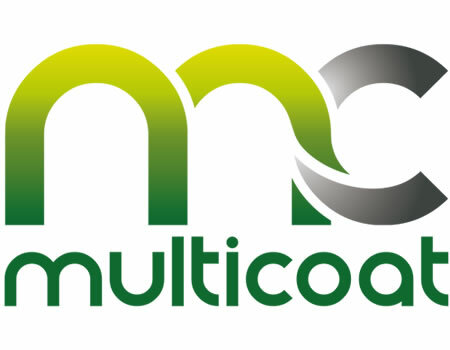 Is Multicoat the best Spray Painting and Powder Coating provider in Melbourne? Customer feedback suggests Chris has achieved his goal. However, he won’t claim that title because he refuses to rest on the great reputation that Multicoat has established. Chris believes that to be the best you must always be trying to be better. He constantly strives to improve; to provide better coating finishes and better customer service.